Maria ramped back up to a Category 3 storm early Thursday with winds of 185 km/h as it was about 90 kilometres north of Punta Cana, Dominican Republic. SAN JUAN, PUERTO RICO—The strongest hurricane to hit Puerto Rico in more than 80 years destroyed hundreds of homes, knocked out power across the entire island and turned some streets into raging rivers Wednesday in an onslaught that could plunge the U.S. territory deeper into financial crisis. 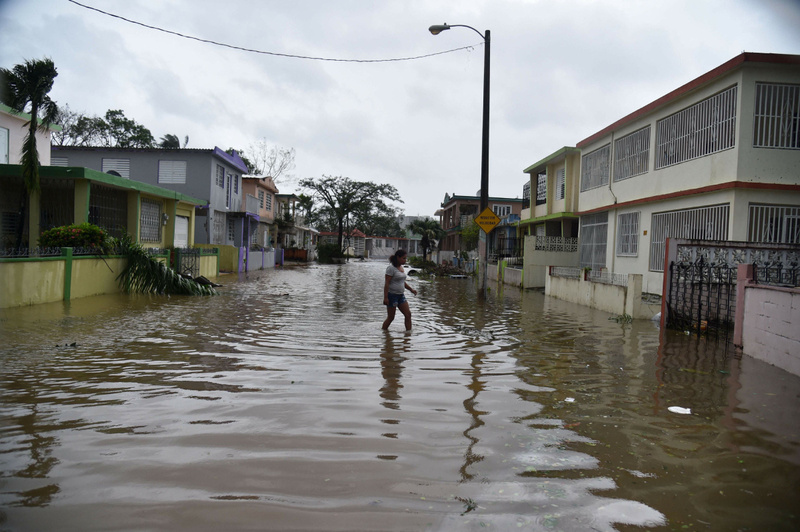 Leaving at least nine people dead in its wake across the Caribbean, Hurricane Maria blew ashore in the morning near the southeast coastal town of Yabucoa as a Category 4 storm with winds of 250 km/h. It punished the island of 3.4 million people with life-threatening winds for several hours, the second time in two weeks that Puerto Rico has felt the wrath of a hurricane. As people waited in shelters or took cover inside stairwells, bathrooms and closets, Maria brought down cell towers and power lines, snapped trees, tore off roofs and unloaded at least 50 centimetres of rain.